Where Can Your Company Be Sued? The Basics of Personal Jurisdiction - Ward and Smith, P.A. On May 30, 2017, the United States Supreme Court issued an opinion in the case of BNSF Railway Co. v. Tyrrell. Among other things, the case analyzed and reaffirmed the grounds for a company to be sued other than in its home state—specifically, the Supreme Court addressed whether the courts in a state other than the company defendant's home state can assert "personal jurisdiction" over the company. The BNSF Railway decision is important as it reaffirms that a company cannot be sued in any state simply because the company does some business in that state. The principle of personal jurisdiction is one of the limits to a court's power—without personal jurisdiction over the parties, the court does not have authority to decide the case. In its simplest form, the principle of personal jurisdiction is how or when the court may assert its authority over a party to a lawsuit. The limits of a court's personal jurisdiction are both statutory and constitutional. Unless a state statute authorizes an action by or against a party, the court of that state does not have authority to decide the case. Even if a state statute authorizes an action, which most if not all states do, under the United States Constitution a defendant must receive "due process of law" before it can be hailed into a state's court. A plaintiff's due process rights are easily determined. A plaintiff to a lawsuit consents to the court's personal jurisdiction by the mere action of filing a lawsuit with the court. However, the due process guarantee requires that before a defendant can be forced to defend itself before that same state court, the defendant must have at least some minimum intentional connection to the state in which the court sits or there must be a connection between the state and the injury at issue. In order to assert its jurisdiction over the defendant, the court must analyze whether the defendant is "at home" in the state where the court is located; or whether the injury or underlying dispute occurred in the same state. If a state court attempts to exercise authority over a defendant who does not have sufficient contacts with that state, the defendant will be denied due process and the court's authority will be illegitimate. 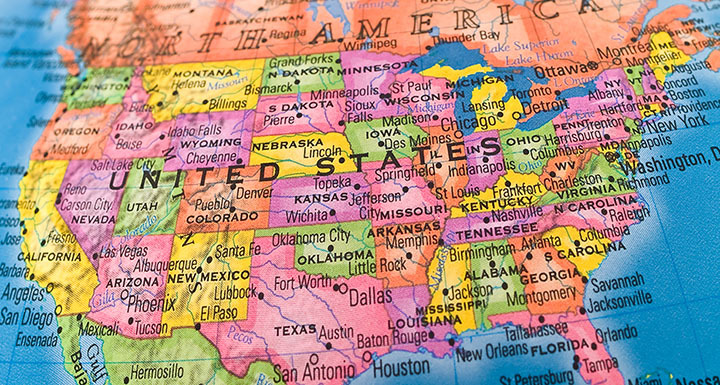 As a practical matter, most states, and certainly North Carolina, interpret their statutes to assert personal jurisdiction to the maximum extent allowed by the United States Constitution's due process guarantee. Consider this hypothetical: You live in North Carolina. You come home from work one day, and waiting for you is a letter and lawsuit from a state court in Idaho. The correspondence says you have been sued by a government regulator in Idaho because you drive a car that does not meet Idaho's new emissions standards, and you must attend a hearing at a court located in Boise, Idaho to determine the appropriate monetary fine. However, neither you nor your car has ever been to Idaho. Is it appropriate for Idaho to assert jurisdiction over you and drag you into its court system? Under these facts, because you lack the minimum contacts with Idaho, the answer is no. But, change the hypothetical: You are a resident of Idaho, bought your car in Idaho, but you are spending a month working in North Carolina. Would an Idaho state court's exercise of jurisdiction over you be proper under those circumstances? The answer is yes because of the number of contacts you have with Idaho. These examples illustrate the issues involved in the personal jurisdiction analysis. What facts make it proper for you, your company, or some other entity to be hauled into an out-of-state court system to defend a lawsuit? In BNSF Railway, the United States Supreme Court restated the circumstances under which an out-of-state company can properly be sued in a state other than the state of its legal existence. Two plaintiffs, former employees, each sued the Railway in a Montana state court for bodily injuries they allegedly received while working for the Railway. However, the injuries did not occur in Montana, the plaintiffs were not from Montana, the Railway was not incorporated in Montana, and the Railway's principal place of business was not in Montana. The Railway did, however, have over 2,000 miles of track throughout Montana and employed over 2,000 workers in Montana. Other than these two facts, the Railway, and the lawsuit, had no other connection to Montana. The Railway attempted to have the lawsuits dismissed, arguing that for the purposes of these lawsuits, Montana did not have personal jurisdiction over the Railway. The Montana state court denied the Railway's motion to dismiss, and the Railway appealed. In an 8-1 decision, however, the United States Supreme Court overturned the Montana court, holding that the Railway and the lawsuit did not have enough connection to the state of Montana for the Montana state court system to have personal jurisdiction over the Railway. Specific personal jurisdiction exists when the injury or dispute in question occurs in the state where the lawsuit is filed. However, neither plaintiff in BSNF alleged they were injured from work related to Montana. Because the injury in question in the two lawsuits didn't occur in Montana, there was no specific personal jurisdiction. The only way the Montana state court could have jurisdiction over the Railway is if the court had general personal jurisdiction. General personal jurisdiction is broader than specific personal jurisdiction, and allows a court to exercise jurisdiction over a corporate defendant for basically any lawsuit filed in a state in which the defendant is "at home." The Supreme Court held that a corporate defendant is "at home" in only three possible jurisdictions: (1) the state in which the corporation is incorporated; (2) the state in which the corporation has its principal place of business; and (3) in an "exceptional case," any state in which the corporation's operations are so substantial that it also is "at home" in that additional state (or states). In BNSF Railway, the Railway was not incorporated in Montana and its principal place of business was not in Montana. The Supreme Court next looked to see if there were facts to support the "exceptional case" in which a corporation's ties to a state are so substantial that, in essence, it creates an additional, or second, principal place of business. The Court held that the Railway's employees and miles of track located in Montana represented only a small portion of the Railway's total business (less than 5% and 6%, respectively). Accordingly, the Railway's activities in Montana were not "so substantial and of such a nature as to render the corporation at home in that State." Thus, the Montana state courts did not have personal jurisdiction over the Railway for these lawsuits. The Court held that allowing these lawsuits to continue, "when the corporation is not 'at home' in the State and the episode-in-suit occurred elsewhere" would violate the Due Process Clause of the Fourteenth Amendment to the United States Constitution, and therefore the lawsuits should be dismissed. The United States Supreme Court's BNSF Railway case is a reminder of the importance of personal jurisdiction in our state court systems. If your company is sued in an out-of-state court system, it is important to first ask if it is proper for your company to be sued there. This does not mean the lawsuit itself is improper, because it could well be brought in another state (where your company is incorporated, headquartered, or where the injury or dispute giving rise to the lawsuit occurred). But, your company should not be forced to defend itself in an out-of-state court system if there is not a sufficient connection to that state. Dismissal on the basis of personal jurisdiction can prevent your company from having to pay the sometimes substantial costs of distant litigation as well as the risk of being sued in a state where the laws and traditional jury inclinations may not be favorable to your company or its type of business. So Your Business Received a Demand Letter, Now What?